Yakuza creator Toshihiro Nagoshi and his team’s next game is called Binary Domain for PS3 and 360, according to reports coming out of Japan. Japanese message board 2ch is claiming it has seen the contents of this week’s Famitsu, with the game being revealed in the latest issue of the mag, which normally doesn’t come out until Wednesday in Japan. Robot-based shooter Binary Domain apparently takes place in Tokyo in 2080, a setting the dev team – which is a mix of eastern and western devs, according to Famitsu – has had issues with. Tokyo has been split into two: rich and poor, with the poor side resembling what the city looks like now with more destruction, with humans and robots going at it. Nagoshi wouldn’t say why that is. Screens are also thought to be in the magazine, all CG, with one shot supposidly showing a Buddhist monk shooting a robot soldier from a third-person perspective. The title, which is planned for a global release by Sega, is also meant to have “an extremely high level of AI and online play”, the latter of which the development team is focusing on. According to an interview Nagoshi’s given to Famitsu, the original idea for Binary Domain existed around the time when Yakuza 3 was in development. 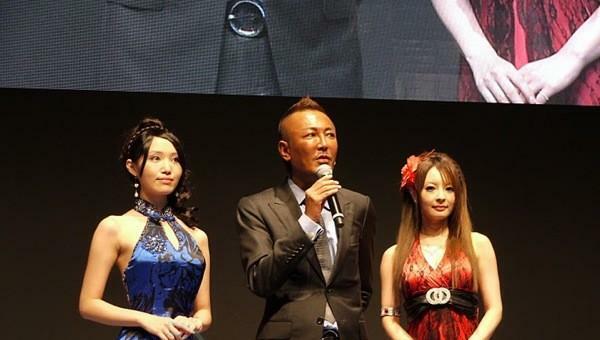 Nagoshi promises there will be a massive focus on story and action, with the title being focused on a global audience. Sega UK’s given VG247 a no comment on the news. Nagoshi created Super Monkey Ball and Yakuza, the latter of which will see zombie-shooter Yakzua: Of The End next year in Japan for PS3. He’s also a motherfuckin’ P.I.M.P.